1989: A Statesman Opens Up - How a political ingenue guided Hungary through its most critical period in three decades - and laid the groundwork for the fall of the Berlin Wall. Afghanistan 1979: The War That Changed the World - The Soviet intervention into Afghanistan launched Osama Bin Laden, Al Qaeda and modern terrorism. Beltracchi: The Art of Forgery - For nearly 40 years, Wolfgang Beltracchi fooled the international art world and was responsible for the biggest art forgery scandal of the postwar era. From the KimStim Collection. Beyond Zero: 1914–1918 - Bill Morrison pieces together a unique visual exploration from footage that has never been viewed by modern audiences. 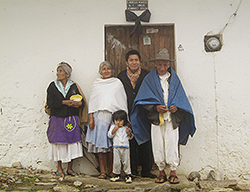 Café - This intimate documentary follows an indigenous Mexican family through one critical year of life. Dreams Rewired - Using rare archival material from hundreds of films, traces the anxieties of today's hyper-connected world back a hundred years, when telephone, film and television were new. East Punk Memories - After 20 years, the filmmaker revisits a group of young punks who struggled with the communist regime during the early 80s. 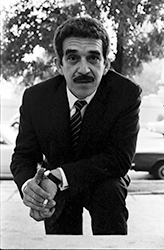 Gabo: The Creation of Gabriel García Márquez - The true story of Gabriel García Márquez, winner of the 1982 Nobel Prize for Literature and author of globally acclaimed books including 100 Years of Solitude. The Iron Ministry - Filmed over three years on what will soon be the world's largest railway network, traces the vast interiors of China on the move. Nefertiti's Daughters - Queen Nefertiti returns to join revolutionary street artists on the front lines in the fight for women's rights and freedom in Egypt today. School of Babel - Welcome to one Parisian school's program for newly arrived immigrant children from all over the world. Semicolon; the Adventures of Ostomy Girl - Meet Dana, a feisty, funny, and charming 25 year-old at a crossroads. But not the kind you might expect. States of Unbelonging - The core of this haunting meditation on war, land, the Bible, and filmmaking is a portrait of Revital Ohayon, an Israeli filmmaker and mother killed near the West Bank. Leninland - At the end of Soviet era, in the village Gorky, 20 kilometers from Moscow, the last and the most ambitious Museum of Lenin was built.